Clients come flocking for storage, and sheep. Fiona Turnbull began with a small flock of sheep and used her entrepreneurial flair to develop two family businesses and a diversified empire. Kinross shepherd Fiona Turnbull could never be accused of being one of the sheep, because this extra special entrepreneur is top dog at two business flocks. But business for Fiona is far from being a one-woman show. 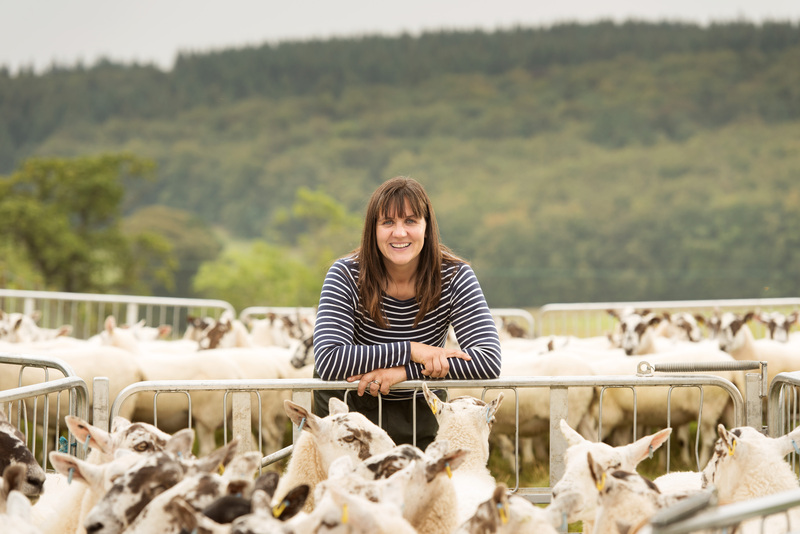 Working in partnership with her husband and parents, Fiona’s business empire includes sheep AND storage. It all began with a small flock of sheep. At just 22 with a baby in tow, new mum Fiona simply couldn’t find work in her trade as a shepherd, so she decided to go it alone. Using her own savings to buy 50 ewes, she had to challenge perceptions that she was too much of a young thing to be a successful sheep farmer, but finally found local fields to rent for her flock. Coming from farming and business-owning stock was a real advantage for Fiona, as were her agricultural studies, and her strong entrepreneurial streak was evident right from the start. As well as tending her growing flock, of sheep and children, she ran a B&B from the family farmhouse and looked after friends’ children. Over the years, her success with sheep was a proven success, she went into partnership with her parents to form Bankhead Farming Partners, and to manage a far bigger flock. The toughest time in Fiona’s family farming business was in 2001 when foot and mouth disease hit agriculture, and caused prices to crash. She’ll never forget the financial fear in farming at that time. A more reliable income from her second business, Fruix Storage, means Fiona now doesn’t necessarily need to count sheep at night. Diversification was always a goal, but it was a chance comment from someone looking for storage space which sparked an idea for an addition to Fiona’s business portfolio in Fife. In partnership with her husband Andrew, Fruix Storage began in 2000, and consisted of an old stone barn and two modern units on the family’s traditional farm steading. 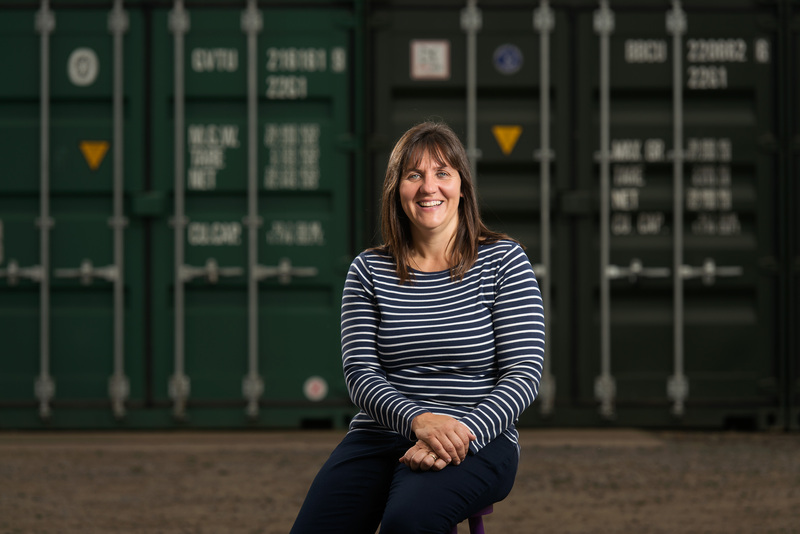 It took a further four years for the business to grow, but Fiona now looks out of her farmhouse windows at over 40 units and containers, and is chuffed that many are being used by other local businesses. And with planning permission secured, Fruix Storage looks set to double in size in the coming year. Fiona hopes that the company’s new fully insulated units will sign and seal contracts with new long term clients. But it’s a big step up in business for this wife and husband team, and has taken them to a whole new level of borrowing which feels scary and strange. Working together this enterprising couple have found a good balance between risk and ambition, without Andrew’s steadying hand, Fiona says they’d have been up to their necks years ago! They’ve assessed all the risks to grow and expand and feel sure that what’s on offer at Fruix will keep contracts coming to Kinross for years to come. It’s not always easy working with those that you love, but Fiona firmly hopes to keep business in the family, neither sheep nor storage has employed any staff so far, but she’d be thrilled if one of her own three wee lambs was to join either of the family firms.